Stoneman Douglas False Flag Inquiry: Shomrim, Chabad and DNP. When the unspeakable becomes Unspeakable. Could it Lead to 5G PATSCAN Microwave Technology in all Florida Schools and Nationwide? “Electronic Tattoo” to Track Your Medical Information; is this a prelude to ‘Mark of the Beast’ ? Nikola Tesla was the greatest scientific mind of the last several thousand years and his humanitarian ideals rivaled that of Gandhi, Martin Luther King and the likes. Not only did he die penniless but also his inventions never saw the light of day in the public sector, despite being stolen and put into secret use in “Black Ops” technology by various Military Industrial Complex corporations. 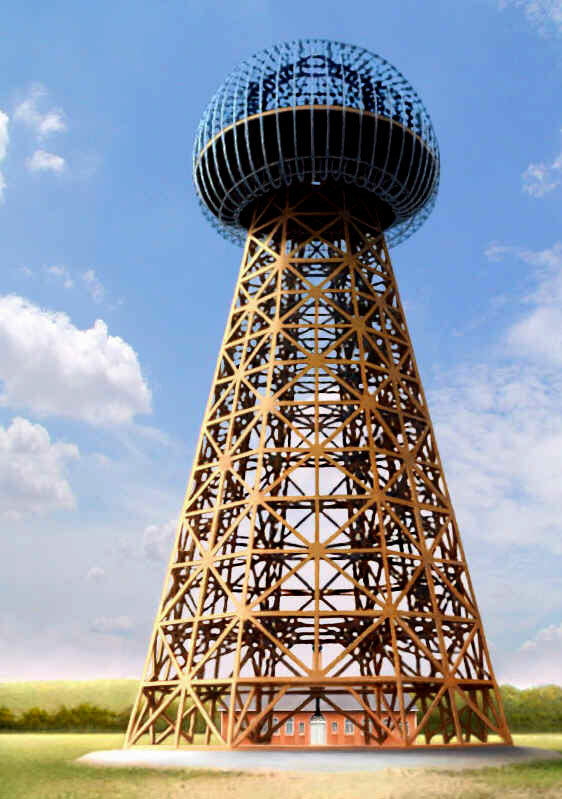 Nikola Tesla’s free energy devices have been suppressed for well over 100 hundred years now. Not only have his devices been suppressed but his name has literally been stricken, buried and almost completely removed from our history books, scientific journals and from the human consciousness in general. Imagine a scenario where nobody had ever heard of Albert Einstein and none of Einstein’s theories were ever taught or spoken of in schools, science or physics. It’s almost unthinkable and yet this is exactly what is going on with the ideas, inventions and stories of Nikola Tesla, who’s work dwarves the works of Albert Einstein by comparison. But who had the power to hide this from the general public? Who had the motivation and opportunity and how did they do it? More importantly, why did they do it? It is true that many of Tesla’s patents can now be found online and there are plenty of private engineers and enthusiasts building “Tesla Coils” and other energy devices in their garages and back yards. It is the misguided opinion by the small percentage of the general public that is aware of this fact that now that the “cat is out of the bag” or the “genie is out of the bottle”, it is only a matter of time before these “free energy” devices leave the garages and backyards of engineers and pump unlimited free energy into the homes of every family on Earth, destroying the oppressive chains of the “powers that be”, bringing an end to all oil wars and bringing freedom and a race to the stars to humanity. Nothing could be farther from the truth. This is fanciful, wishful thinking, nothing more than a “pipe dream” until certain aspects of society are addressed and changed. Only then can “free energy” move from a pipe dream into manifested reality. Some people argue that eventually everyone will just build their own Tesla free energy devices, removing the need for corporate government sponsored electrical grids and price control. Seriously? Take a look at the intelligence and engineering knowledge of the average modern person. Take a look at the way police thugs raid organic dairy farms and other independent movements. Take a look at the way the corporate mainstream media demonizes sovereigns and other “off grid” movements. The people and corporations responsible for suppressing Tesla and his works will simply outlaw copper wiring and other components needed to build these technologies and their police thugs will be more than happy to raid private homes, tear down these home-made devices and prosecute the owners under whatever bogus statutes their oil, banking and big industry lobbyists put into effect to stop any such movement. In order to move forward and actually manifest Tesla’s technologies into free energy for the globe, we need to understand how it was possible for the name of the greatest inventor who ever lived to be historically marginalized, who was able to accomplish this marginalization, how was this done and why was this done to Telsa. Then we need to address what changes need to be made within our own psychological make up, and what societal changes need to be made in order to move past suppression and marginalization into actualization of these technologies. It is therefor vital to understand another suppressed bit of knowledge that used to be taught in civilized societies known as the “Trivium”, a Latin term meaning the “Three Ways”. The Trivium is an ancient truth discovery methodology. By understanding what the Trivium is and how it works, we can understand how our reality is built and therefor understand the first level of how Tesla’s devices have been hidden from us. We can also understand why these inventions have not gone mainstream yet despite “the cat being let out of the bag” already, over a decade ago. The Trivium is a metaphorical pyramid or tower of building blocks that lead from knowledge at it’s base to the manifestation of physical reality at it’s top. Many modern educators don’t even know the Trivium at all or haven’t even heard of it, which is why we are not taught this in school anymore. However, top members of the elites, freemasons, dark Occultists and Satanists are very aware of this knowledge. The very bottom level or base layer of the Trivium, on which all subsequent blocks are stacked upon, is KNOWLEDGE. Knowledge is all available information stored in the ether. It is ALL potential knowledge that may be gathered, processed, understood and acted upon by individuals. The second layer or building block of the Trivium, which sits on top of Knowledge, is UNDERSTANDING. This means that you have a complete understanding of a particular available knowledge which helps you in your decision making process. Understanding takes place inside the human mind and these processes are chosen by each individual based upon “available information” or lack thereof from the bottom layer of knowledge. The top block or layer of the Trivium that rests upon Knowledge and Understanding is WISDOM. Wisdom in not knowledge! Wisdom is human behavior based upon the quality of their decision-making processes, which, in turn, are based upon the quality of their available information. For example: You may have “Knowledge” that heavy smoking and drinking causes heart disease, lung cancer, diabetes, etc. You may even have scientific “Understanding” based on that knowledge of exactly how heavy smoking and drinking actually causes these diseases in the human body. But if you continue heavy smoking and drinking despite this knowledge and understanding you are unwise to do so, you have no “Wisdom” in the matter despite having all the knowledge you need. Wisdom is behavior based on understanding of knowledge. This is how the Trivium methodology of manifestation works. What happens after the Trivium? After human behavior or Wisdom we get the GENERATED RESULT, either Order or Chaos. This result is “Manifested Reality”. It is what happens, what occurs in our world. Manifested reality is the quality of the condition which manifests in any society based upon the aggregate quality of human behavior within that society. This aggregate societal reality is a result of that society’s wisdom or actions, based on that society’s understanding of knowledge, or lack thereof! If you were in possession of this knowledge of the Trivium and you wanted to control the manifested reality of either order or chaos for an entire population, what level of the Trivium would you want to control things from? Would you control peoples Wisdom (each individual’s behaviour)? Would it be Understanding (each individual’s decision making processes) or would you control available Knowledge (the information available to each individual to understand and act upon)? In other words, how do you manipulate and control an entire population’s reality? You can’t control reality from a level of Manifestation because that’s impossible. Manifestation has already occurred. It has already happened. You could try the fascist method of “overt control” where you control each individual’s actual behavior, but that’s extremely tough with billions of people without extensive surveillance technology, mind control apparatus and enforcement officers, though this method is going on in society more and more as the Orwellian global police state comes in. But people will readily see this method of control and eventually rebel against it. It’s extremely difficult to control reality by trying to control the way each individual thinks, thus controlling the way they understand knowledge and apply decision making processes, though again this is happening more and more as well. The easiest and most effective way to control the manifested reality of an entire population is to control the bottom level on which the entire Trivium is built, which is to control knowledge, to control all available information on which people base their understanding and behavior upon. He who controls the available information controls the understanding of information and decision making processes, hence controls the wisdom or human behavior based on those decisions, which in the end controls the manifested reality of that population. How can a world wide free energy grid manifest as reality if society doesn’t know Tesla already invented it over 100 years ago, nobody knows where to find this information or that they should even be looking for it in the first place, nobody has access to the patents or even believes the patents and devices are possible or already exist, nobody understands the technology when they do find it because they haven’t been taught these concepts and have in fact been taught exactly the opposite, so nobody builds them or makes an effort to demand their governments build them and manifest these devices as reality for the general population? If you control the knowledge by suppression you stop the manifestation of that knowledge into reality. It’s that simple. So why are Nikola Tesla and his free energy inventions completely removed from our institutions of learning? It is almost impossible to control or suppress this information at the level of each and every school or institution of learning. You would have to employ millions of goons sitting in on millions of classrooms making sure teachers were not telling students about Tesla and his machines. The imagination becomes stifled at this point. If you can control what people believe or don’t believe is possible, then you have total control over that individuals decision-making processes and actions stemming from those decisions, hence reality. To control what people believe is possible or not is to control the human imagination. Those who already know about Tesla’s inventions have probably experienced this when speaking to a mainstream schooled electrical engineer. This suppression of Tesla and his works was done by controlling books and what was printed in textbooks. If you control the level of information in the books you control the mind. Mind control is not science fiction. It is ancient occult science. Mind control is based upon the control of available information, which then determines our decision-making processes which then determines our behavior, which then determines our reality. How many people would have supported the Iraq war if they had the knowledge before the invasion that Saddam didn’t really have weapons of mass destruction, didn’t really have anything to do with 9/11 and posed absolutely no threat to western freedom or democracy whatsoever? He who controls the available information and quality of that information controls behavioral reality. Mind control 101. So who conspired to keep Tesla’s name and inventions out of our realm of general public knowledge and available information taught to children in our schools? These names should sound familiar to you by now: John D. Rockefeller, Nathan Rothschild, John Jacob Astor and J.P. Morgan. These men and their families were actually the wealthy owners, movers and shakers of big industry, oil, steel, iron and banking at the time Nikola Tesla was alive and inventing. J.P. Morgan, John Jacob Astor and Nathan Rothschild were actually funders of Tesla, paying for his work, research and even his prototype machines. When Tesla announced his plans to provide free energy to the entire planet, in essence making many of their own industries obsolete and their empires greatly diminished in wealth and power, you can imagine their sudden change of heart, let alone fear of Tesla and his newly discovered technology. These men and their family bloodlines are some of the most influential people on the planet in the creation of some of the world’s largest globalist “Think Tanks”. This includes the private Federal Reserve banking system, the Bilderberg Group, the United Nations (formerly the Lucius Trust formerly the Lucifer Trust), The Royal Institute for International Affairs, the Council on Foreign Relations, the Trilateral Commission, etc. Globalization simply means the centralization of global power into fewer and fewer hands. Who’s hands? Their own of course! The sole job of these influential “think tanks” is the consolidation of global power into the hands of these few families and wealthy industrialists. These think tanks are behind the idea of Global Government, One World Government, New World Order, etc. J.P. Morgan, John Jacob Astor and John D. Rockefeller were “agents” of the Rothschild dynasty, which ultimately controls the central banks of the world, including the Federal Reserve system in the United States. Of course J.P. Morgan, Nathan Rothschild, the Schiffs, etc. were also owners of the Federal Reserve Bank of New York. “The Rothschilds, the Bank of England and the London banking houses ultimately control the Federal Reserve Banks through their stockholdings of bank stock and their subsidiary firms in New York. Since the Federal Reserve banking system took over the issuance of the U.S. dollar, which is the global regulating currency, the US dollar has ben devalued 97%. Not only are these men responsible for the suppression of Tesla’s free energy, as we shall see, but they are also responsible for the “debt slavery” of the citizens of the U.S. When Astor became vocal about his opposition to U.S. and global takeover by the Globalists via debt slavery, he was given a ticket aboard the maiden voyage of the Titanic. There are many books written about the possibility of the Titanic being anything but accidental, but it’s curious that the one man really backing Tesla’s free energy devices was quickly disposed of, accidentally or not. J.P. Morgan’s influence is significant in the takeover of the Publishing House industry, which was to take textbook and publishing out of family owned hands and bring it into corporate ownership in America. It must be remembered that Tesla was working in America before the days of the Internet. In the modern day the Rockefellers are the owners of the publishing houses. How did J.P. Morgan do this? Throughout the 1890’s J.P. Morgan made many substantial loans to the Harper Brothers publishing houses. Printing presses were expensive, time consuming and complicated before the days of computers and laser jet printers. Harper was one of the biggest publishing firms at the time. Just like modern times, the controlling money share seems to always get the say in the direction the business takes. Morgan’s involvement in the Harper firm started the shift away from private family ownership of small publishing houses, first to private investors, then to the large corporations that began to dominate the publishing industry in the mid 20th century, including publishing our schoolbooks through educational “think tanks”. The large private investors and later corporate owners that began to consolidate these publishing houses were predominantly owned and controlled by the Rockefeller family, who were Rothschild agents just like J.P. Morgan. Today, the Rockefeller family own and control three of the “Big Four” school textbook publishing houses: Simon & Schuster, Harper-Collins and Random House. The fourth major publishing house is Pearson, which the Rockefellers do not flat out own but they largely influence the material in their publications. The Rockefellers also own McGraw-Hill Publishing, Little Brown & Co., Macmillan Co., Viking Press, Saturday Review, Business Week, Book of the Month Club and many others. They have complete and total control of what information goes into these books. Not only do these globalists control the publishing house industry but they also control the Oil and gas industry! They are the owners of big oil. You can’t think of the name Rockefeller without thinking of Standard Oil. These families have no interest whatsoever in a collapse of their dynastic oil and gas wealth in favor of “free” energy technologies discovered by Tesla. When Tesla told the world he was going to light up the world and give it free energy, free of charge, that was the last thing these globalists wanted. Their goal is to consolidate power back into the hands of the few, not empower each individual in the world to be less dependent upon them. These families also own weapons manufacturing companies and their central banks finance and profit from all wars. What are most non-religious wars about? Oil! Natural resources. Free energy removes most wars and takes away power from the globalist war mongering families who profit from these oil wars. That is why they did everything in their power through control of the publishing house industry to suppress Tesla’s technologies and to wipe his name completely out of history. That is how they maintain control over this planet to this day. They control energy, they control money and they control information that leads to our independence from energy and money in order to live on this planet. The control of energy is the control of modern human beings and what they need to live and survive. In other words: SLAVERY. Can you, your family and your friends live and thrive in this modern world without energy and money, or are you slaves to it? Certainly billions of people aren’t going to give up their material comforts and walk barefoot back into the jungles where we came from. Those who control the energy and money have us right where they want us. You are probably thinking, that was how they controlled the information before, but now we live in the age of the Internet and there are thousands of people across the globe that know about Tesla’s technology, hundreds or even thousands of people who even understand his technology and even hundreds who are building some of his technology themselves, privately. So “free” energy must be right around the corner. Even though the schoolbooks don’t teach our children and even professional engineers about Tesla’s free energy technology, surely we can teach ourselves? Let’s pretend for a moment that as of tomorrow, every human being on the planet knows about Tesla’s technologies and even understands them. What could possibly stop us then? The answer lies in our mind controlled belief in two of the “unspoken” false Religions of the world: the false belief in the religion of Authority (government) and the religion of Money. Authority is an illusion born out of Mind Control, based entirely on violence and built on the erroneous and dogmatic belief that some people are “Masters” who have the moral right to issue commands, while others are “Slaves” who have a moral obligation to obey their Masters, even if they “elect” these masters in a seemingly democratic process. In the old world order of Chaos, authority worked like this: There was a King or a high Priest at the top of the control pyramid, unquestioned and unchallenged. His word was the law and he was a representative of God on the Earth. No one could challenge his authority. This old system was called “Authority Vested in One” and was based entirely on violence and built on the erroneous and dogmatic religious belief that one person is the Master who possesses the moral right to issue commands, while all others are “Subjects” who have the moral obligation to obey the commands of this master, or else. This is also called “Slavery”. In the New World Order, which is also based on slavery and chaos we have a little twist. Instead of a King or high Priest sitting on top of this control pyramid, we now have something called Government sitting at the top of the control pyramid. Government is in the hands of a few people, rather than just one King or Priest. The “commands” of the King or Priest are now just called “laws” and we think we have a moral obligation to obey those laws, even when our actions don’t harm anyone else. This is called “Authority Vested in Few” and is built upon the erroneous and dogmatic belief that a certain group of people are Masters who possess the moral right to issue commands, while all others are subjects who have the moral obligation to obey the commands of the masters, or else go to jail. This too is called Slavery. This is where the money comes into play. The money is ruled by the centralized banking system and run by corporate control, so money sits at the top of the control pyramid with governments and is what is ruling the world today. Benito Mussolini said, “Fascism is the merging of state (government) and corporation (money control)”. This is exactly what we have today. Rather than a serfdom or slavery system ruled by one King or Priest, we now have slavery ruled by few (government) which is dictated by the god called Money. Money is merely a BELIEF based system of control built upon the “fear of scarcity” and purposely designed to limit the access to energy. Money has no real value and is not the only method of exchange, co-creation or co-operation known to humanity. Most people lie to themselves about this every day. Money is a LIMITER, a control factor. Money is controlled and it’s “value” changed daily by the central banks and even by the population’s perceptions of the “worth” of certain physical items. If something is controlled it is neither “free” nor “freeing”. How much of your own life is spent collecting money to ensure you don’t live a life of scarcity? Money is not only an ancient magic talisman of control but the name itself is even “word magic”. People think money makes the world go round, that money is the “flow” of society, progress and commerce. That’s why they call it “currency”, so that we liken money to electric “current” in an electrical system, which is a flow of energy. In reality money is nothing of the sort. Money is the resistance in the system. Money is the thing that stops energy from flowing. If you cannot pursue your dreams (without causing harm to others) because you simply don’t have any money, you will understand this concept completely. Money is not current-cy, it is resistance. Many great inventors of alternative energy have this notion that they are going to be the “owners” of their new invented technology through “Patented Intellectual Property” based on filing these inventions with various government run “Patent Offices” in various countries. They think they will profit hugely from the sale of their new “free energy” machines and why not? They did put all of the time, sweat and research into the invention and “everyone has to get paid”. How is that “free” energy if everyone still needs to get paid money for it while everyone else has to pay intellectual property rights just to use it? “The Patent office is literally a “deal with the Devil” because you have to take your new invention and technology right to the government, right to the people who are financially controlled via corporations and money and therefor want to squash your invention” for the benefit of their own benefactors. These governments want to maintain their petro-dollars and fiat currencies to keep control over us and keep us in debt slavery permanently. To date, the patent system has purposely killed over 6,000 free or alternative energy inventions. Many of these inventors died mysterious deaths shortly after filing, others were threatened and most just aren’t given the patent to “legally” go ahead with production and sale of the invention. Why is that? Look into the myths about “peak oil”. In reality there is enough oil to keep this system of energy slavery and war going for a long, long time to come. If we think we are going to bring Tesla’s visionary technology into fruition within a system of slavery, run on “Authority Vested in Few” who are under corporate monetary control by the people who control energy and money itself, we are simply having a New Age pipe dream. We are lying to ourselves. We are kidding ourselves. There can be no “free” energy in an ongoing state of slavery. That is why none of these 6,000 plus patents has manifested in reality so far. The masters of energy and money will never allow them. People in the New Age and Free Energy movements think that Tesla technology is the “horse leading the cart”, and that freedom for humanity is riding in the cart and we’ll all be magically free once the word gets out. The opposite is true. The word is already out. Tesla’s inventions were known about over 100 years ago and even his patents can now be found on the Internet. But we are still no closer to global free energy than we were 200 years ago. In reality, Freedom is the horse and Tesla free energy technology is in the cart. Until we understand what true freedom is, understanding natural law, living in morality, giving up these false religions of debt based slavery via money and the belief in the control of the many by the few; free energy will remain a pipe dream. When we come together and get rid of those who would hinder our progress and keep us locked down in debt-based slavery, only then can we usher in the golden age that we dream about.